Founded by immigrant Russian Molokans in the late nineteenth century the nearby town of Guadalupe is famous for olives and wine. The majority of the Molokan community re-migrated towards California’s Central Valley in the mid-twentieth century, and a Russian Museum commemorating their legacy in the region is open to the public and offers an insight into their practices and successes in the valley. Traditional economic activities in Guadalupe are black and green olives and major wine production. 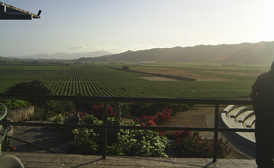 At present, almost 90% of wine production in Mexico originates in the valleys of Guadalupe and the neighboring Calafia. 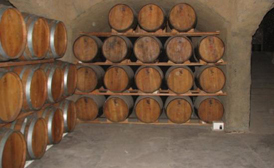 Many local wine producers offer tours showing how wine is made and tastings. Wine connoisseurs from around the world congregate at Guadalupe every year, during the month of August; the beginning of wine harvest season which is celebrated in the Guadalupe Valley and in the city of Ensenada consisting of two weeks of cultural and culinary events, all under the title banner of Fiestas de la Vendimia or, in English, Wine Harvest Festival of Ensenada.